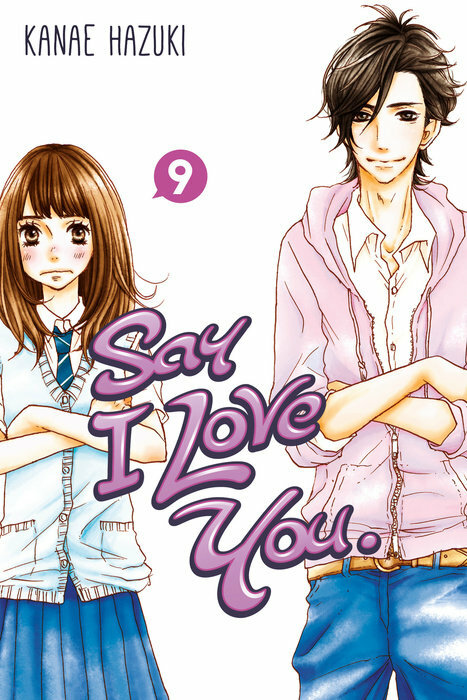 Kanae Hazuki’s solid exploration of love, romance, friendship and all the tangled feelings that come with them continues with Say I Love You, Vol. 9! Following the contest in the previous volume, it’s time for the King and Queen to have their date! As Mei struggles with her insecurities and feelings for Yamato, he must venture on his date with Mei’s romantic rival, Megumi. Meanwhile, we catch up with Yamamto’s brother Daichi and learn about his own personal story of love and loss. 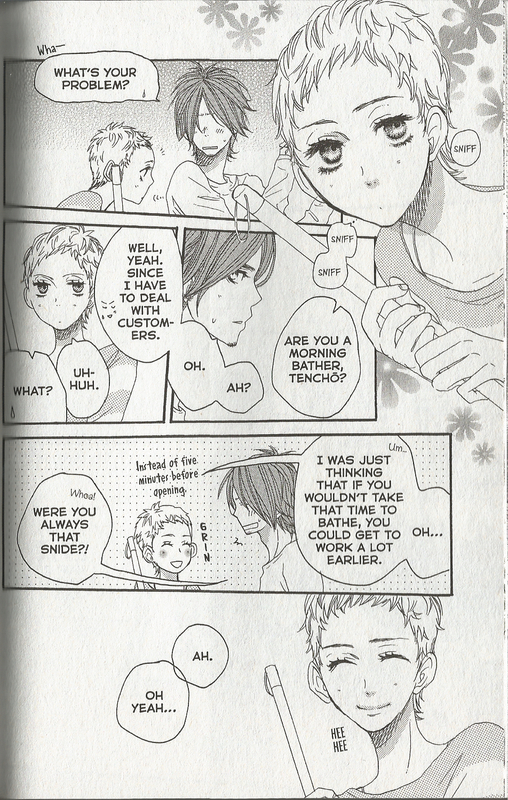 While there’s a little bit at the beginning of the volume focusing on Mei and Yamato, most of the volume is dedicated to exploring the relationship between Yamato’s hair stylist brother Daichi and his assistant Kyoko. The book’s overly romanticized version of the hair style industry didn’t really click for me, but the exploration of Daichi’s feelings towards his ex and Kyoko’s interest in him rang true and was surprisingly moving and touching at times. This break from the main story was very welcome and Kanae Hazuki did a lovely job at using these two minor characters to explore the loss of a loved one and the difficultly in moving on. A little playful banter between Kyoko and Daichi. The artwork continues to be solid and fitting for the story, but the creepy hands and similar, thin, lanky body types continue to dominate the book and it’s character designs. Usually it’s something you can just ignore or roll with, but when a flashback focusing on Daichi’s ex requires us to believe that she’s considered fat or unattractive and she looks similar to many of the other attractive characters in the book, it’s to the detriment of the story. The lack of backgrounds and the heavy reliance on toning and borderless panels also makes the story feel a little ungrounded in places and often results in some pretty empty pages from time to time. It’s clearly meant to reinforce the story’s emotional beats, but they’re used so often that at times their weight and emphasis sometimes felt undercut instead. Say I Love You has always been at it’s best when dealing with emotional arcs and entanglements that ring true and feel real. Mei’s insecurity in the earlier volumes, her friends and their individual histories with body issues and preconceived notions based on their appearance, and now the impact of loss upon Daichi’s life. While some people may lament the two main characters taking a back seat to such minor ones, I think it was a smart move and it reminded me of why I was so fond of this series back when it started. Say I Love You, Vol. 9 is available now from Kodansha Comics. Review copy provided by the publisher.